I was reading an article the other day in The Wall Street Journal about how major brands are finding it necessary to raise prices on consumer staples in large part, it seems, to meet profit and earnings goals. For some reason this is being presented as news though, if you are the type of person who, say, shops for their own food, this is in no way surprising. Or news, actually. The reality is that prices on consumer goods – despite (questionable?) inflation index reports to the contrary (if you’re getting less for the same or more, isn’t that by-definition, inflated?) – have been going up for the better part of the past three years. The trick, it seems, has been to change the packaging dimensions and reduce the actual amount of product volume while keeping the price reasonably stable, with only incremental increases. For example, the concept of “a gallon of bleach’ now seems somewhat nostalgic, if not archaic: things used to come in standard weights and measures like gallons, pints, quarts, liters and the like. As consumers, this was a matter of course, and not worthy of perpetual vigilance. That is, like so many things, no longer the case. In fact, if you buy a ‘gallon’ of Clorox bleach now – or really, any name brand – you are looking at not 128 fl. ounces, but instead, 121 fl. ounces. And, in-step with this, comes the change in copy away from a traditionally defined unit of measure, like gallon, and toward a more subjective and slippery term, like “pack”. Curiously enough, off-brand and generics are still 128 oz, and far less expensive – a point brought up by the WSJ article as a factor with which the big name-brands must now contend. It seems that vigilance is indeed necessary. The look and feel of the bleach bottle is about what it once was, though upon careful inspection, it’s a little thinner front-to-back, no doubt to keep shelf visibility high and create the illusion of traditional size. If you use a lot of bleach, that 7 ounces adds up, especially when the prices creep higher. And if you produce a lot of bleach, that skimming tactic also contributes handily to your company’s bottom line – especially when considered at a massive production scale wherein you essentially give the consumer 3%+ less product for the same price. Now that this under-the-radar practice has become so commonplace, and repeated so often as to be accepted and made invisible to the average consumer, it appears to be safe for producers to more overtly raise the prices publicly, further exacerbating the value inequity. And it’s not just Clorox, of course. It appears to be every single, ‘trusted’ brand out there. Another example? 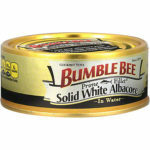 I eat a lot of tuna – Bumblebee Solid White Albacore in water, to be exact. It’s quick, easy (I’m not a millennial and thus can wield a can opener) and has always been of dependably high-quality. In fact, if you go to their website it was always pretty close to the so-called ‘steaky’ option on the right. About 6-months ago, that changed. At first I thought I’d gotten a bad batch; the tuna was yellow, watery, chunky and smelled strongly of fish (yes, I know it’s fish, but this wasn’t quite right). It wasn’t bad per se, but much closer to a lower grade of tuna. The price had already crept up, first in can-size back around 2010 and more recently in actual (net) product — you needed to read the print to realize that the 5 oz. can was not only 4-ounces of actual tuna — but now, it seemed, we were also dealing with additional sleight of hand from the good folks at Bumble Bee; while I didn’t want to believe it, after repeated attempts it became clear that inferior tuna wrapped in a familiar and more premium package was the new norm. This isn’t just solid white tuna – oh no, this is Prime Fillet! Ooooh. Take in the majesty of the gold can. The aspirational, pinkies-up font choice of Prime Fillet…. The far higher price. I cracked open this golden can of wonder and, gasp! It was, as near as I can tell, filled with my old Solid White Albacore Tuna in Water! Now, I don’t like to think bad things about anyone, especially corporations, which are apparently people, but the evidence would suggest that there was a bait and switcheroo going on here! I don’t know for sure, of course, but as a loyal consumer of Bumblebee Solid White Albacore Tuna – for years, mind you – and presented solely with actual tangible experiential evidence, I dare say the Good Folks at Bumble Bee might be playing games. And testing my Brand Loyalty. 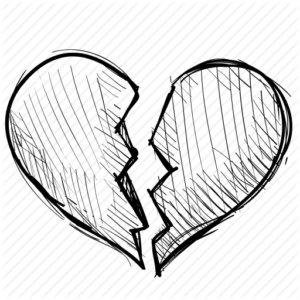 Is there any reason for Consumers to remain blindly loyal to Brands anymore? It’s a good question, and as a someone who works with brands for a living, and helps shape the way people think about them, an important one. From the consumer side, the short answer is no. And that should be frightening to brands, both large and small. Sure, publicly traded companies have an obligation to their stockholders, but they shouldn’t think only in quarterly terms, and sacrifice consumer trust for shareholder profitability – that’s slow suicide. It is my experience that, despite a million bits of content to the contrary, your Brand is simply the way people think about you, your product or service. That’s it – everything else details. And the details are important, the way that is accomplished and the strategy behind it. Think about this: if Clorox – a name synonymous with bleach – or Bumble Bee, a Brand similarly associated with tuna – cannot be trusted to deliver on their core value proposition, what does that mean for the strength and value of their brand? It’s not a good sign. Trust is the key to a strong brand. Consumers are forgiving, but not stupid. And they communicate their approval or disapproval for a Brand and its actions with their pocketbook. Now, this would normally be the place where, in the past, I might suggest that Brands need to shape up or they will eventually take a beating. And, yes, that is true, but no, it will not change their behavior — not anymore. I asked whether Brand Loyalty is Dead and, despite identifying the problems, I believe that we’ve moved into a new era. Bottom line: the corporations no longer care, and are brazenly overt about it. They are no longer scared of – or really, even beholden to – the consumer, because they’re far more scared of the shareholder, and the potential blowback from missing e.p.s. estimates by a penny. So they will continue to wring out and wrangle every drop of possible profit. To the detriment of their customers. To the detriment of their employees. But ultimately not to their detriment – especially if they are one of the last few conglomerates standing, because they will simply be Too Big to Care. As I wrote at the end of Cogh and The Machine, we are fast moving into a future which will ultimately see merger and acquisition activity increase: it is a simple matter profitability through economy of size, a matter of their survival and a matter of time. In the end, there will be a handful corporate behemoths to which we are all beholden – regardless of whether the vast majority of the populace – or perhaps even the government – likes them or not. It is a matter of scale, of economics and of – whether we say differently or not – consumer behavior. Yes, the onus is on us. Every time we buy a product from an Amazon or a Walmart, we are choosing convenience, which is certainly understandable. But we are also voting for a certain future in which only the largest survive, and once the corporations become few and giant and the only choices, then Brand loyalty won’t matter because there ultimately won’t be that many brands left. And if a brand is really a matter of perception, and the brand no longer needs to care about how people think about them, then what? And in that future, the answer is still no. The Good News? Please? Anyone? That future has not been written yet. It’s still a 2-way street where the consumer can — and does — strongly impact the behavior of the corporations and businesses they choose to have a relationship with. And the better news is that that somewhat apocalyptic economic scenario need not happen – but mindfulness is key. Voice is powerful. Action is necessary. And your Choices matter. To passively accept the increasingly unacceptable behavior of many – though to be fair, not all — corporate entities is to allow this behavior to continue. Even encourage it. In an age where most people are treading water financially, it’s difficult to make the hard choice. But if you look downstream, and see where the path may lead, it becomes necessary to step back for just a moment and say Enough! And say it loudly, and rationally – don’t just scream, because no one wants to hear that. And vote with your wallet, and encourage your friends to do likewise. Perhaps then those Brands That Listen, when they respond appropriately to that particular line of financial reasoning, will have earned your Loyalty and it will begin to Matter once again. Here’s to optimism, choice, discourse and dialogue in a world that sorely needs it – cheers!